Our core values and the outcomes we want for our students. How we measure the impact our curriculum is having in terms of achieving these goals. Our Curriculum Maps provide an overview of the content of each subject, for every year group, this academic year. An overview of our Assessment Structure can be viewed via this link. Hard copies have also been provided to students. All Year 11 students have also been issued with a personal Revision Plan, as well as being e-mailed a link to access this electronically. Each term students are introduced to an effective study skill within the context of their lessons. Further information on each of the techniques we have shared so far can be accessed by clicking THIS LINK. Materials shared by departments on the night, that are available electronically, can be accessed by clicking THIS LINK. Further information about choosing Options at Key Stage 4 can be accessed by clicking on the images below. Year 8 Parents’ and Options Evening is on Thursday 2nd May 2019 – 3:30 – 6:30 pm. 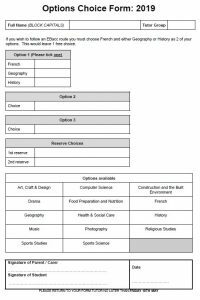 Completed Options Forms should be returned by Friday 10th May. Ofqual, in conjunction with the Department for Education, have produced information on changes that are happening to GCSEs and A levels, and to school and college performance measures, to help students and parents understand the impact they will have on them. This information can be viewed via this link. For further details please contact Heads of Department via this link. Further information can be found in the Teaching, Learning and the Curriculum section of the SEND Information Report. 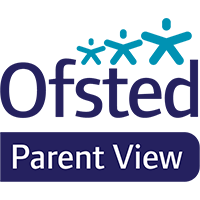 If you would like a paper copy of any of our documents on our website or require a different format, please speak to the school office, who will provide them to you free of charge. If you would like to discuss your SEND requirements in detail please contact the school to arrange an appointment.